There is a mysterious maker of dollhouse miniatures named Charlotte Hunt. 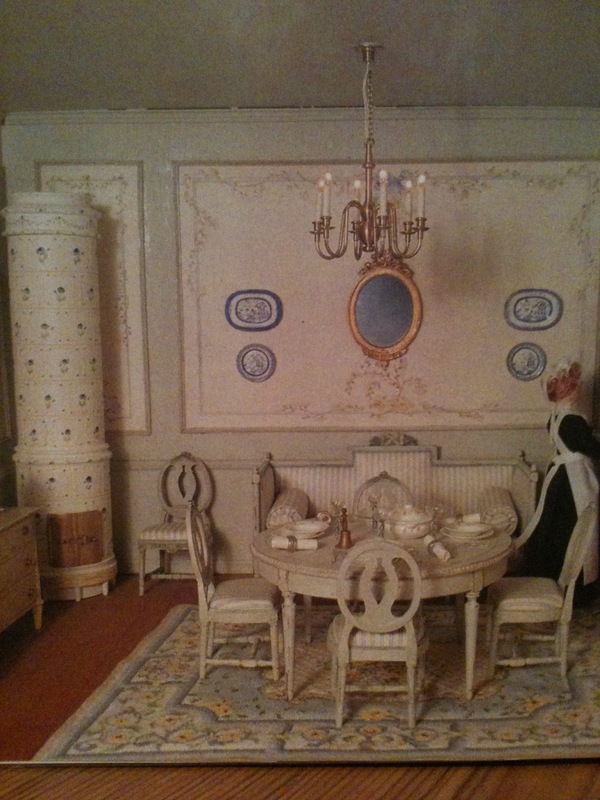 I have seen many of her miniature furniture featured in books about dollhouses published before 1995. All I can find is that she made miniature furniture and interiors in the Swedish Gustavian style as well as Neoclassic English furniture. She was based in London. As you can see, her interiors are very beautiful. However, no matter how many google (and other search engine) searches I do I can't seem to find any information about her. I believe she had a business which made miniatures on commission, and she seems to have been quite successful. She has absolutely no online presence. Who is she? Where did she go? Most importantly, does she still make miniatures? 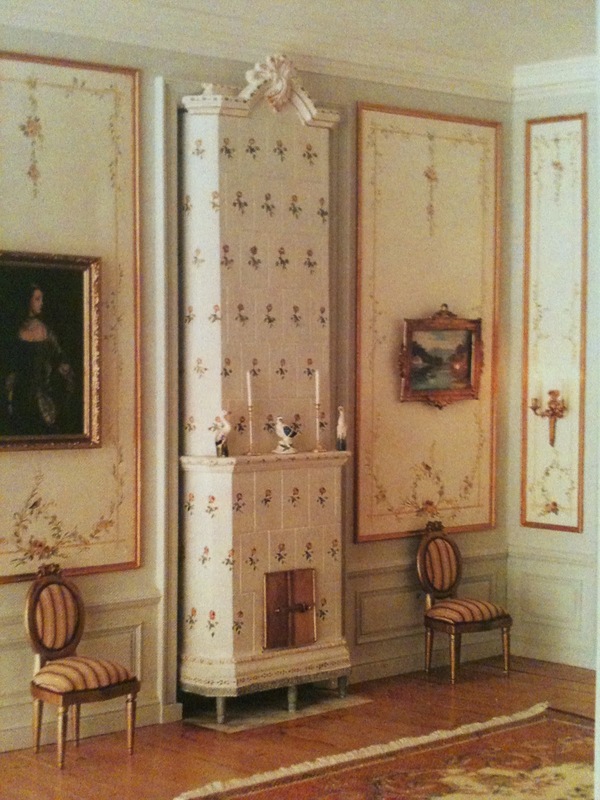 Hello, these rooms reminded me of a miniature roombox I saw at Arikalex miniature museum in Berlin. Whilst I can't confirm whether they were done by Charlotte Hunt, she is on a list of artists that did work for them, and the style is very similar. And there is a Charlotte Hunt on the swanhouse miniatures site. Yes, they do look very similar - I'm sure they must be by Charlotte Hunt. She seems to have been very prolific! Hopefully I will find out some more soon. Or start a new discussion posting your info there. They have a ton of knowledgeable members that might have more info on Ms. Hunt. Thanks very much, I will try that site! Hi Emily, I don't think I have come across her name, but as Mini Dork suggests, there are some longtime collectors who are members of Dolls Houses Past and Present, who might well remember Charlotte Hunt - you're very welcome to join (if you're not already a member), and post the question in the forums. Thanks Rebecca, I will check it out. Thanks for following my blog! Hi again Emily, I was just looking through a British Dolls House Directory for 1997/98 which I bought recently, and saw an ad by Charlotte Hunt Miniatures! The ad mentions French style gilded furniture, upholstered in high quality silks, hand-painted stoves, furniture, wall panels and screens, and cast metal and other hardware including a range of chandeliers by D & R Ward designs exclusively for Charlotte Hunt. The address given is 31 Westover Road, London SW18 2RE, and a catalogue was available for £2 in the UK, $5 in the USA. I just checked the British Telecom directory online, and there is still a C Holdsworth Hunt at that address. But whether she is still making miniatures, I don't know. Charlotte Hunt was a regular exhibitor at the annual London Dollshouse Festival from its inception in 1985 till about 2005. The details Rebecca gave you are correct. Charlotte Hunt was a regular highly respected exhibitor at the London Dollshouse Festival in Kensington from its inception in 1985 till about 2005.